Planning to travel for scuba diving? 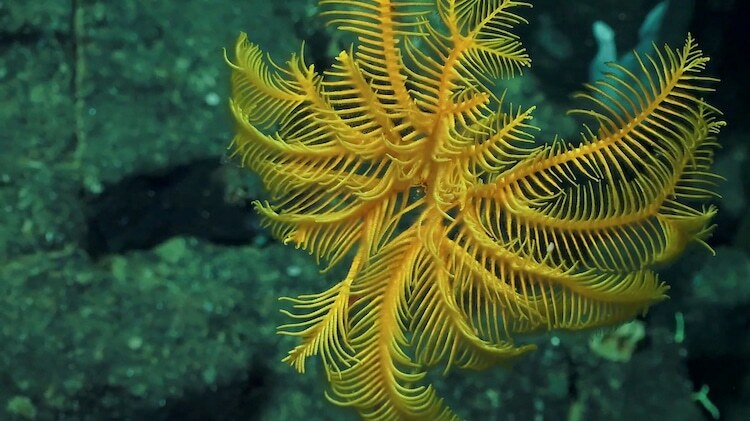 Consult our list of favorite travel destinations with incredible dives. From red-lipped batfish and tomato clownfish to sugar-bearing ships and large freshwater sinkholes, there’s plenty to see here. Cocos Island in Costa Rica is a scuba diving wonderland. In addition to being one of the best shark diving destinations in the world, it’s also a haven for all sorts of pelagic species. But this remote island has even more to offer. 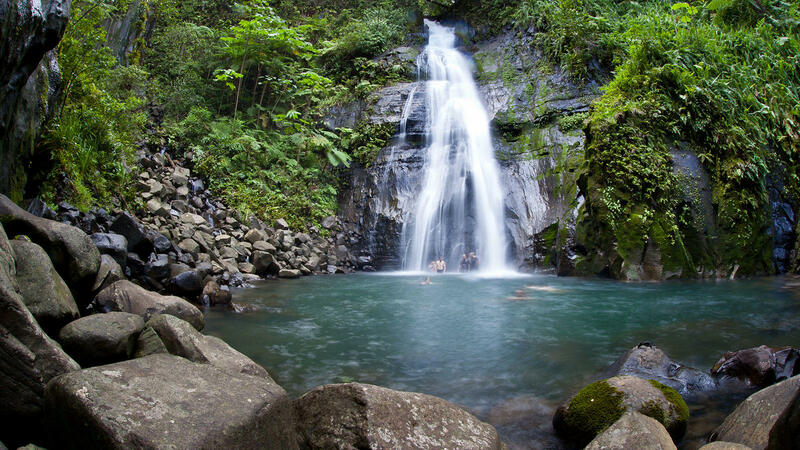 This paradise is located 342 miles from the Costa Rican mainland. 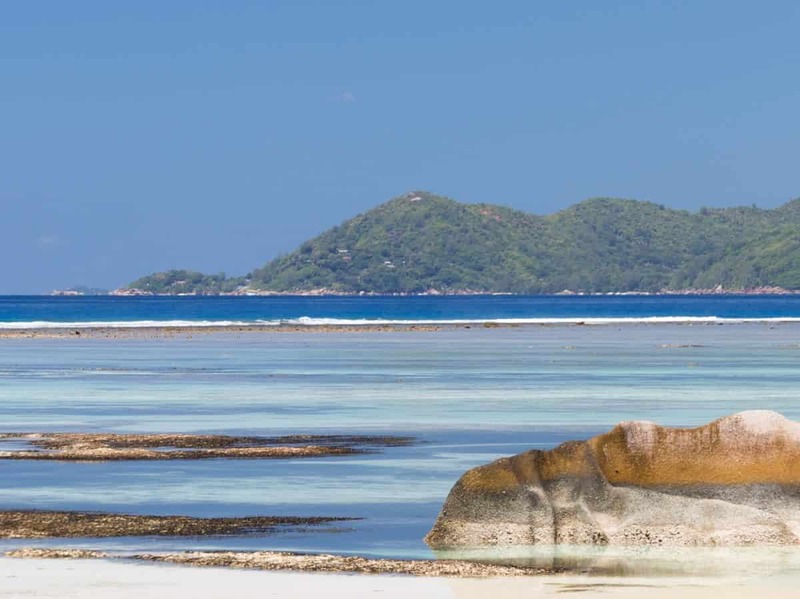 The island itself is only 10 square miles, so diving at Cocos is only possible from a liveaboard. Cocos Island live aboards depart from Puntarenas and take approximately 36 hours to reach their destination. Generally, itineraries range from 8 to 10 nights. Scuba diving in Cocos Island is a far cry from most tropical destinations. You won’t find bountiful coral reefs in the region. In fact, the underwater landscape of this remote island is mostly made up of dramatic pinnacles with arches and drop-offs. These seem to descend to the bottom of Earth. If you weren’t already dreaming of a tropical vacation, you will be now! The Isla del Coco celebrates a landmark in its history. 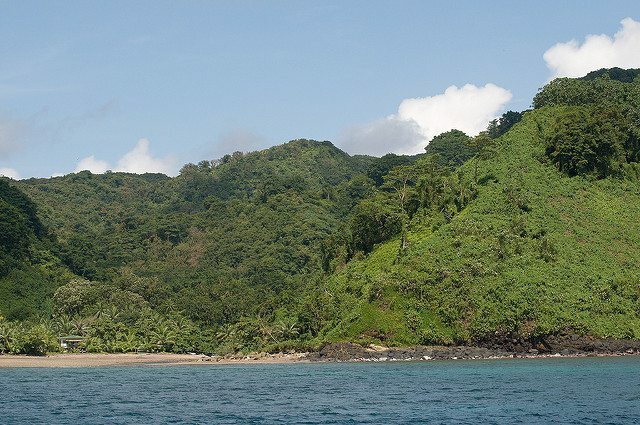 Located 532 km away from Cabo Blanco, Puntarenas, Cocos Island is celebrating its 20th anniversary of being declared by the UNESCO as a Natural Heritage for Humanity Site. 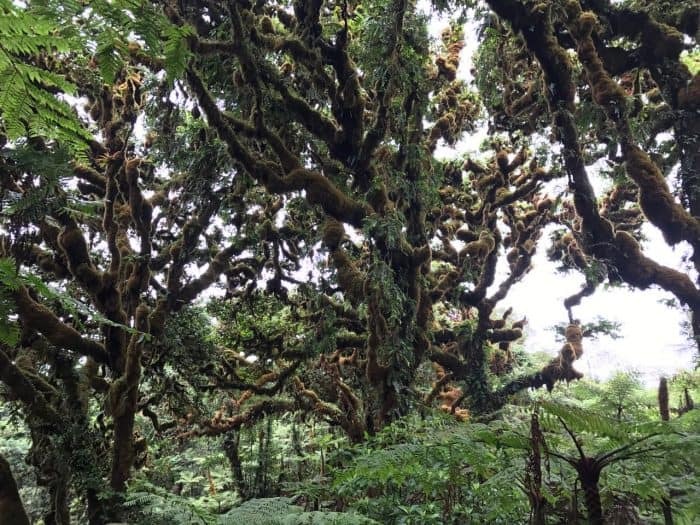 The island is located in the Pacific Ocean with a terrestrial ecosystem of 24 square km and 12 nautical miles that are completely protected as a national park. With more than 2600 different species of flora and fauna, the island represents a sanctuary for life on a global level. Due to the protection and isolation of the national park, it’s one of the most privileged natural sites in the world. Its biodiversity makes it the ideal natural research laboratory. The UNESCO Natural Heritage declaration on Dec. 6, 1997, was the result of a joint effort by the Costa Rican government and the nonprofit Friends of Cocos Island (FAICO). This teeny Central American country has an abundance of natural beauty—and four wildly diverse World Heritage sites. Its landmass rings in smaller than West Virginia, but this Central American country has an abundance of natural beauty—and four diverse World Heritage sites. When the recent World Economic Forum’s 2017 Travel & Tourism Competitiveness Report ranked 136 countries according to the natural resources they possess—including their number of World Heritage natural sites, protected areas and species—tiny Costa Rica swooped in at number 3 (Brazil and Mexico took spots one and two). But it’s no real surprise: this lush, peaceful paradise, whose name translates to “rich coast,” is awash in verdant rainforests, cloud forests, cerulean waters, volcanoes, and wildlife galore. If, like a lot of divers, your inspiration to start diving came from Jacques Cousteau then Cocos Island should be on your radar: he considered Cocos Island to be the most beautiful island in the world. In 1997 the island, located 550 km off the Pacific coast of Costa Rica became a UNESCO World Heritage Site. Uninhabited, it boasts the only humid tropical forest on a tropical island in the Eastern Tropical Pacific and is one of the most important sites for the protection of large pelagic migratory species, such as sharks, rays and dolphins. 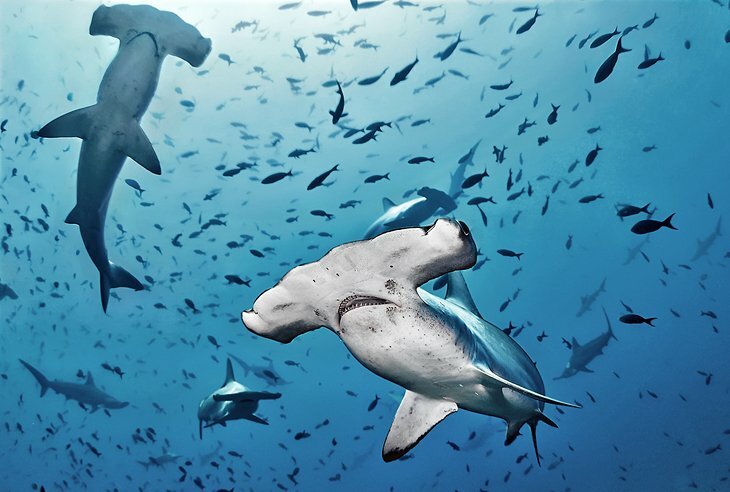 Sharks that are commonly found here include endangered and near threatened species like the scalloped hammerhead shark, silky sharks and whale sharks. Why is Cocos Island a Hope Spot? Hope Spots are a concept launched by Dr. Sylvia Earle in her 2009 TED talk. Cocos Island deserves its reputation as one of the best diving destinations in the world. Situated 342 miles off the coast of Costa Rica, this remote volcanic island in the Pacific Ocean is a national park and a UNESCO World Heritage Site. Since reaching the island takes over 30 hours by boat, the best way to discover the destination is with a Cocos Island liveaboard. 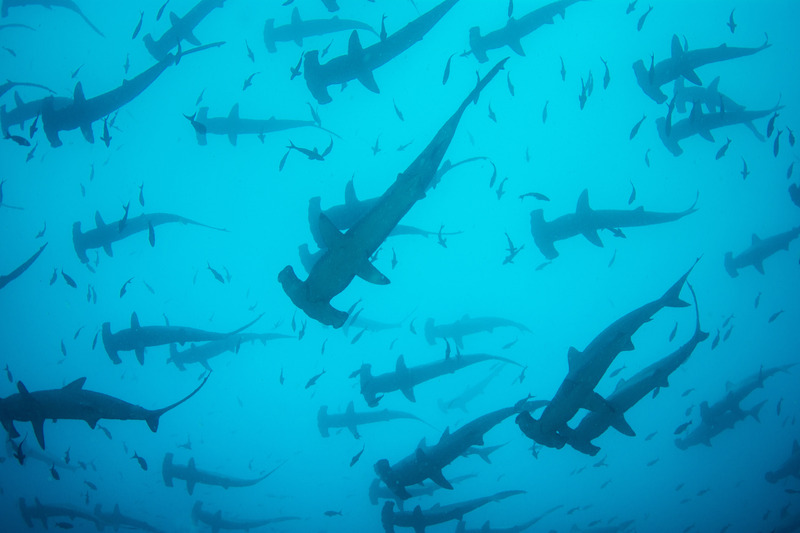 The island is a haven for pelagic fish, most notably schools of hammerhead sharks. The area is rich in underwater pinnacles and seamounts and boasts colorful, healthy coral reefs. Diving with a liveaboard boat at Cocos Island is an unforgettable experience. Here at The Adventure Junkies, we want to help you get the most out of your liveaboard trip to Cocos Island.